Concentrating in history class – or any other class for that matter – was something neither of us particularly excelled at. The topics covered were the 1500s, the Industrial Revolution, the two world wars and, in S’s case, Irish history. Even though the Spanish Civil War (1936 to 1939) led to World World II, the hours asleep at the back of class mattered not as Spain’s great war – which ensured the Nationalist Franco controlled Spain until his death in 1975 – never got a look in. Luckily, ‘Spanish Civil War – History of a Battle for Europe’s Soul’ by George Levrier-Jones comes to the rescue years later. It’s a thin book which takes a day, if that, to read. Levrier-Jones distils the, at times, complicated details of the differing factions, the progress of the war and the changing fortunes of the Republicans and Nationalists, in lucid detail. Of course, it’s not the first book about the war, but it’s a great introduction to it. In short, the Republicans, basically leftist groups, sought to change Spain while the Nationalists, formed from right-leaning groups like the Fascist Falanage, wanted Spain to return to its traditional roots, where the church played a major role and the monarchy returned (Spain was a democracy, known as the Second Republic, leading up to the war). The Nationalists rebelled. Several regions in Spain wanting more autonomy, including Catalonia and the Basque Country, broadly supported the Republicans, while the Nationalists wanted a stronger central government. But like a lot of history, things are never black and white. This book strives to unravel the complexity. Its strength is that it makes no assumptions about the reader’s previous knowledge – including on the years that preceded the war. Indeed, it sets the scene as to why the war happened at all. The book is broken down into digestible chapters – Who were the main groups in the War? ; What were their differences? ; How did the war start? – making it easy to follow. Like many books about wars, it still needs concentration and cross-referring back to previous chapters. But it’s well-written and clear, and a major knowledge gap has begun to be be filled. Scratching beneath the surface here in Órgiva unearths interesting things. There are still bars in town, owned by generations of the same family, who ‘remember’ who-did-what-to-who during the war. People have long memories. Outside Lanjarón, as the vast ‘War of the Worlds’ wind farm sails were being erected, graves of hundreds of victims were found. It’s happened many times across Spain. A few memorials exist if you know where to look. There are many documentaries online which we’ll watch over time. Here’s one from 2007 which includes a man standing at the spot in Málaga where his father was shot. 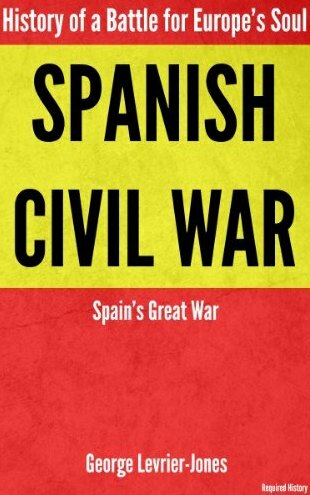 If you want an introduction to the Spanish Civil War, we recommended getting this book. If two former failed history students can keep on top of the detail, anyone can. The book is supported by podcasts too (scroll to the bottom of page for episode 1).